Botanicals Natural Organic Skincare aim to make a range of personal care products which are as close to nature as possible. The company was founded by Wendy Stirling in 2004 after her daughter had an allergic reaction to a shampoo that sounded natural but actually contained SLS, SLES and parabens. 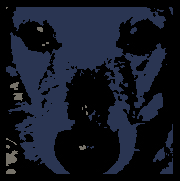 All of Botanicals' products and the ingredients they use are vegan and cruelty free, and they are also endorsed by Naturewatch Foundation. Botanicals are certified organic by the Soil Association, and are free from artificial colours, fragrances and preservatives. 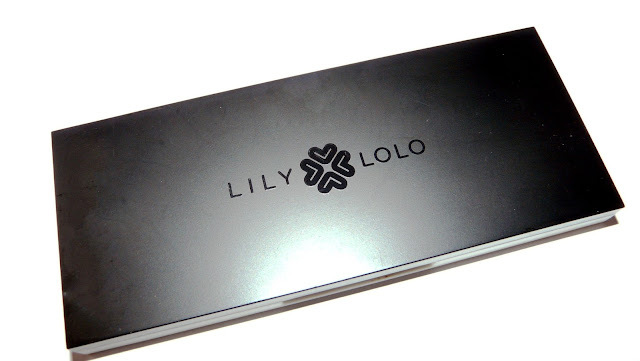 Their products come in minimal yet elegant packaging that is recyclable. 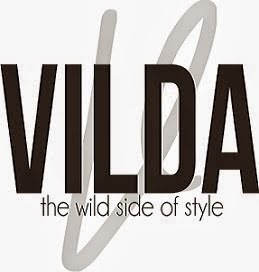 All the ingredients they use are fully biodegradable and are derived from sustainable sources. Botanicals kindly invited me to try out one of their products: the Rose & Camellia Cleanse & Polish. The product is a gentle exfoliating cleanser that contains crushed rosehip kernels to brighten dull and dehydrated skin and restore moisture balance. 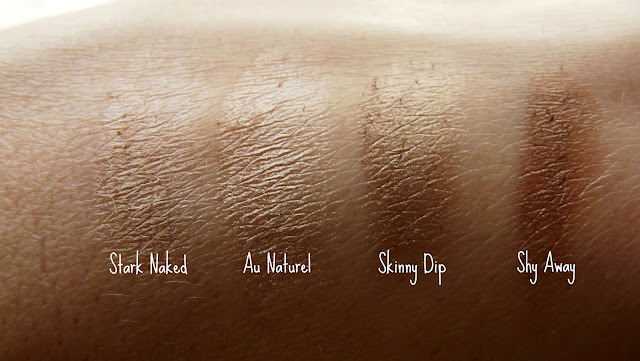 It is suitable for normal, dry and mature skin types and retails at £24 for a 60g jar. The polish does not contain water and instead uses a base of several plant oils and shea butter. This means that not only does the product go a long way, but it feels really luxurious on the skin. I really love the texture of this product: it melts beautifully into the skin and feels heavenly as you massage it into your face. The rosehip kernels gently buff away dead skin cells and help to bring a glow to the face without scrubbing at your skin. I also love the delicate, calming smell of this product. My skin felt really soft and smooth after using the polish and I highly recommend it to anyone looking for a gentle, natural exfoliating product. Be.Loved is a Latvian natural skincare company who ship worldwide. They are a cruelty free company and their products are vegan, with the exception of the face cleansing masks which contain yogurt powder. The company was founded by Kinga, a yoga teacher and natural lifestyle enthusiast, who began researching and experimenting with natural cosmetics after experiencing skin problems. Be.Loved's main goal is to formulate a range of highly effective skincare products that deliver only beneficial and nutritive compounds into the skin. Every ingredient used in their products is there for a specific therapeutic reason. Since Be.Loved are an ethical company, all their products come in recyclable and upcyclable glass containers. They are so passionate about reducing their impact on the environment, they will even send one free full size product to every customer who sends them back five empty Be.Loved containers! I was kindly sent two products to try: the Rose Rain Floral Water and Follow Your Bliss Tangerine Balancing Face Serum. The Rose Rain Floral Water is a pure rose water spray, recommended for ageing and delicate skins. Rose water is my favourite toner, so I absolutely loved this product! It feels so calming and refreshing on the skin, plus the delicate scent of rose is so soothing. Ingredients: Rosa Damascena Flower Water. The Follow Your Bliss Tangerine Balancing Face Serum is designed to energise and restore the skin’s elasticity and help maintain a correct oil and moisture balance. It contains a nourishing blend of plant oils and extracts, as well as tangerine and palmarosa essential oils to help balance the skin and frankincense to firm and tone. I loved the scent of this product; as an aromatherapist, I create many different blends every day for my clients and for myself, and some of my favourite blends contain essential oils of the orange family. Tangerine is closely related and very similar to mandarin essential oil, which is one of my favourite oils to help reduce stress and anxiety. Since essential oils can evoke memories and feelings when inhaled, I felt an immediate sense of calm when I first opened the bottle, and every time I used it after that. The serum goes a long way, so you only need to apply one or two drops. It is easily absorbed and doesn't feel greasy, which can often be a worry if your skin is prone to oiliness like mine is. It made my skin feel wonderfully soft and smooth afterwards, and although I usually applied it underneath my moisturiser, I found it to be hydrating enough to use alone. I especially enjoyed applying a little extra at night and thoroughly massaging it into my face to give my skin a boost. Ingredients: Rosa canina (Rosehip) seed oil; Argania Spinosa (Argan) Kernel Oil; Rosa Canina (Rosehip) Seed Extract; Punica Granatum (Pomegranate) Seed Extract; Tocopherol (Vitamin E); Citrus Tangerina (Tangerine) Oil; Cymbopogon martinii (Palmarosa) Oil; Boswellia serrata (Frankincense) Oil; Farnesol* Limonene* Geraniol*and Linalool* Citral* *Natural Ingredient of Essential Oils. Manic Panic recently invited me to try out some of their products. If you are not familiar with the brand, Manic Panic are a cruelty-free company (and most of their products are vegan) well known for their range of vibrant hair colours. They also have a range of cosmetics, so as I am not brave enough to dye my hair a vivid shade of the rainbow, I decided to opt for something more me - lipgloss! Manic Panic Cross Glosses come in quirky little tubes with a cross on the applicator. 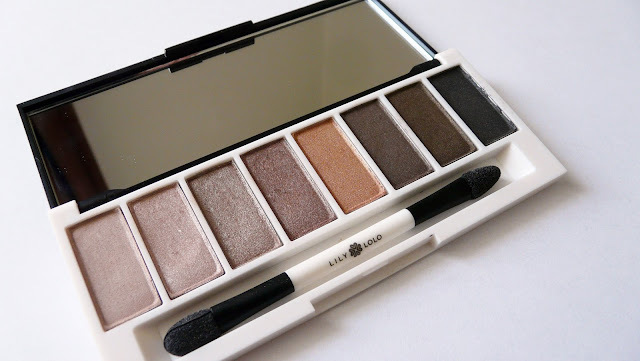 I love the design and I think it's great to have something different to all my other products in my makeup bag. The Cross Glosses are priced at £9.59 each and come in a range of bold colours, including green, lilac and black! The shades I received were Hot as Hell (bright pink), Black Rose (dark red) and Poison Apple (bright red). Ingredients: Polybutene, Pentaerythrityl, Telraisostearate, Tridecyl Trimellitate, Hydrogenated Polyisobutene, Octyldodecyl Stearoyl Sterate, VP/ Hexadecene Copolymer Microcrystalline Wax, Octyldodecanol ,Polyglyceryl-2, Disosterate, Ethylhexyl Palmitate, Tribehenin, Sorbitan Isostearate, Palmitoyl Oligopeptide, Silica , BHT. May Contain: Mica CI 70019, Iron Oxides CI 77491/CI 77492/CI 7499, Titanium Dioxide CI 77891. I really like the Cross Glosses, especially the pink one! 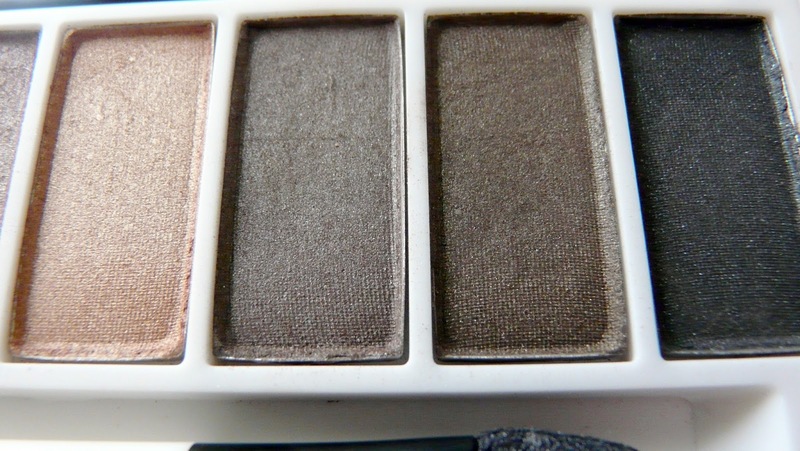 They are all really pigmented, but the colour is buildable, so you can just put on a light slick for a hint of colour, or apply more to get a brighter effect. They aren't too sticky which is a must-have when looking for a great lip gloss. I have found the colours to be long-lasting as well, which is great as sometimes lipglosses can wear off really quickly. I have also layered them over lipstick for an extra colour boost, which works really well. If you are looking for fun, bright lipglosses then the Manic Panic Cross Glosses are definitely what you need! Lush have some new products out including their Mother's Day range, so I've compiled an updated list of their more natural products. If you think any other ingredients should be on this list then please let me know and I will add them in. Below is the product list correct as of February 2016 (let me know if you spot any I might've missed). 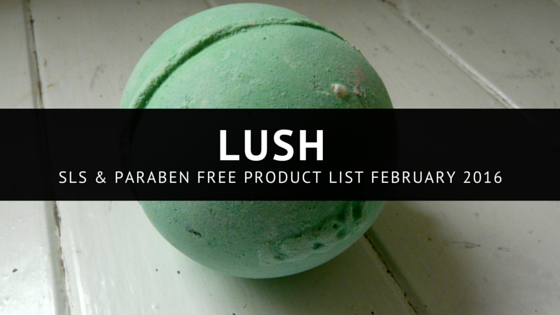 I will aim to update this list whenever Lush add or remove any of their products. I was recently contacted by Ocean Finance, who invited me to take part in their 'Relax with Ocean' series. Ocean’s ethos is all about making people’s lives easier, and to reflect this, they very kindly sent some bloggers £50 each to spend on anything that helps them to take time out and relax. I decided to use the money to have a relaxing home pamper day with some new luxury skincare products. I spend almost every day helping others to relax, and whilst my working environment does help me to relax as well, I like to re-create the tranquil environment at home. For me, nothing (apart from holistic therapies and spa treatments!) says relaxation like a soak in a warm bath, and so I knew that I had to base my pamper day around this! 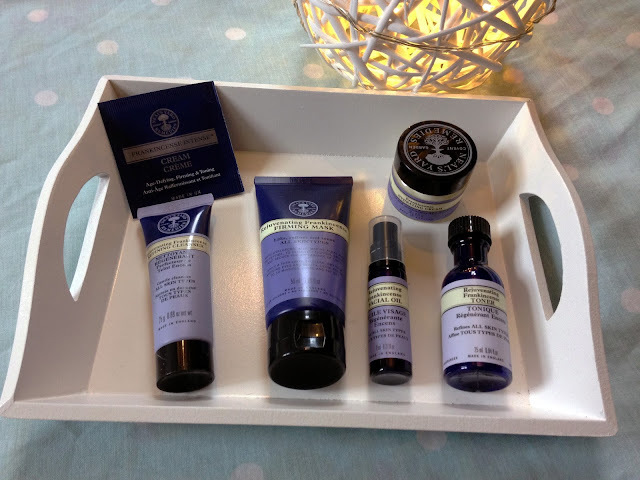 I decided to buy some skincare products from Neal's Yard Remedies. 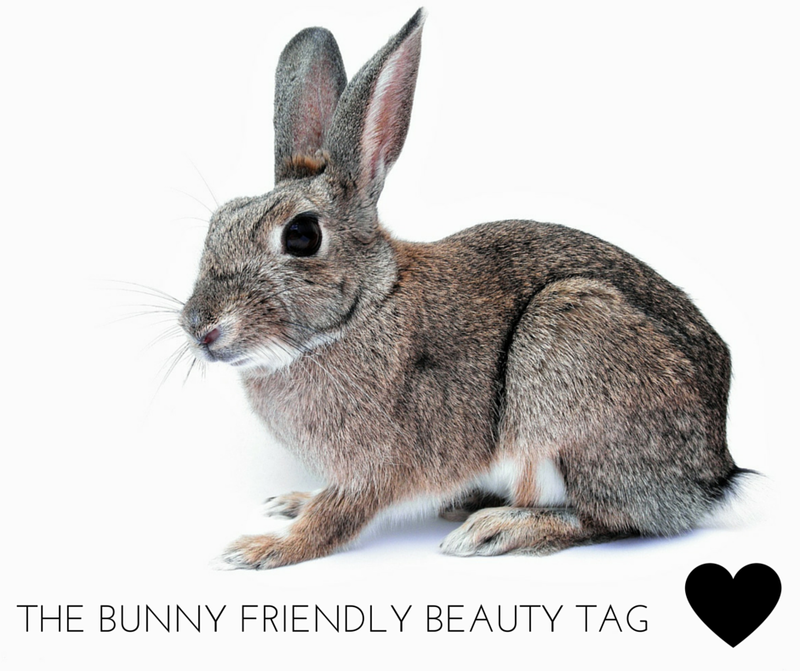 Their products are luxurious, natural and Leaping Bunny Certified. Not all of their products are vegan, but I found some lovely ones that are. I purchased the Age-Defying Skincare Kit (it is better to start using anti-ageing skincare as early on as possible for best results, and once you reach 25 your skin is actually classed as mature!) and the Rejuvenating Frankincense Firming Mask (which was in the sale then I bought it!). I also bought the Create Your Own Hair & Body Wash so I could add my own essential oils to it. I had my pamper day on a grey, windy Sunday. 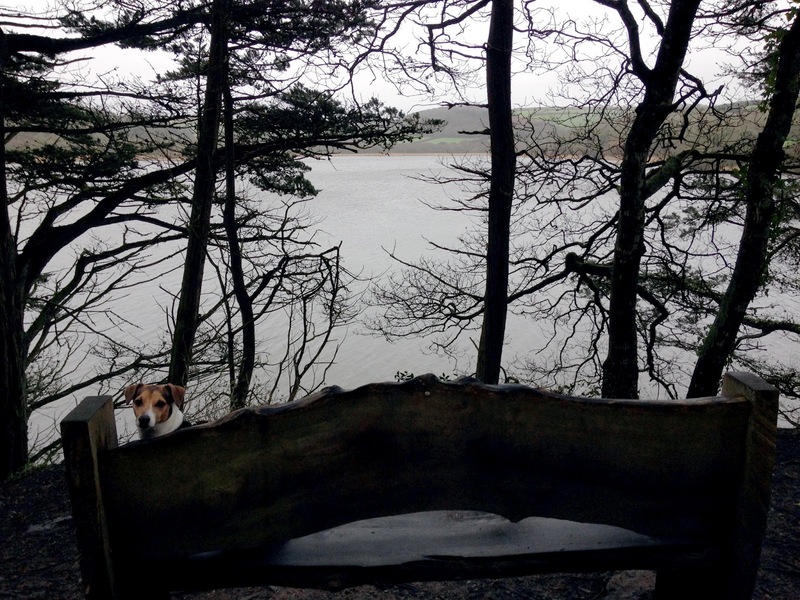 To start the day, Jack and I took a long walk through Penrose Woods, one of our favourite walks. As the weather wasn't great, there weren't many people about and so it was lovely and peaceful in the woods. When we reached the end of the woods, which opens out onto the cliffs overlooking Loe Bar, the wind suddenly hit us as the shelter that the trees gave ended. The sea was quite stormy, and seagulls battled against the strong gusts of wind. 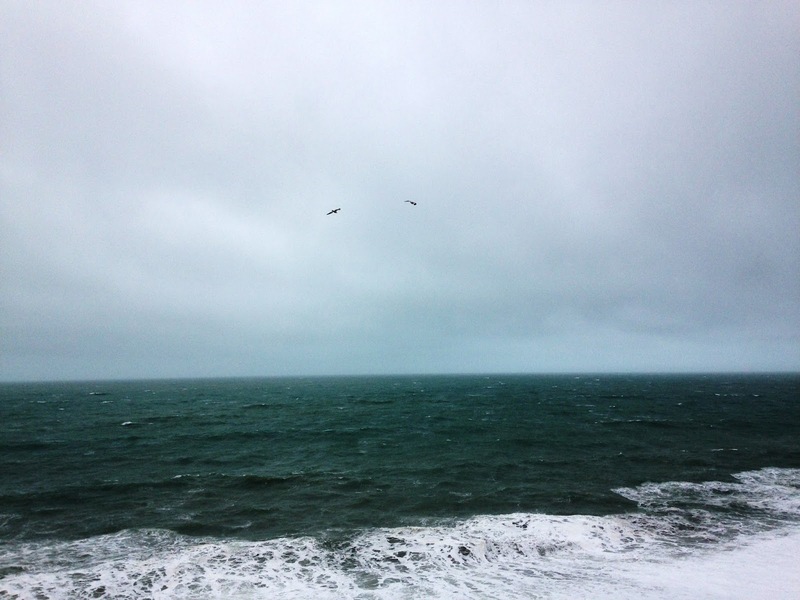 This is my favourite weather to walk in though, and we enjoyed an invigorating walk back across the cliffs. When we got home, I ran my bath and lit loads of candles to create a cosy atmosphere. I cleansed my face with the Rejuvenating Frankincense Refining Cleanser, which was a dream to use; thick, creamy or balmy cleansers are my absolute favourite. I then applied the mask and hopped in the bath. 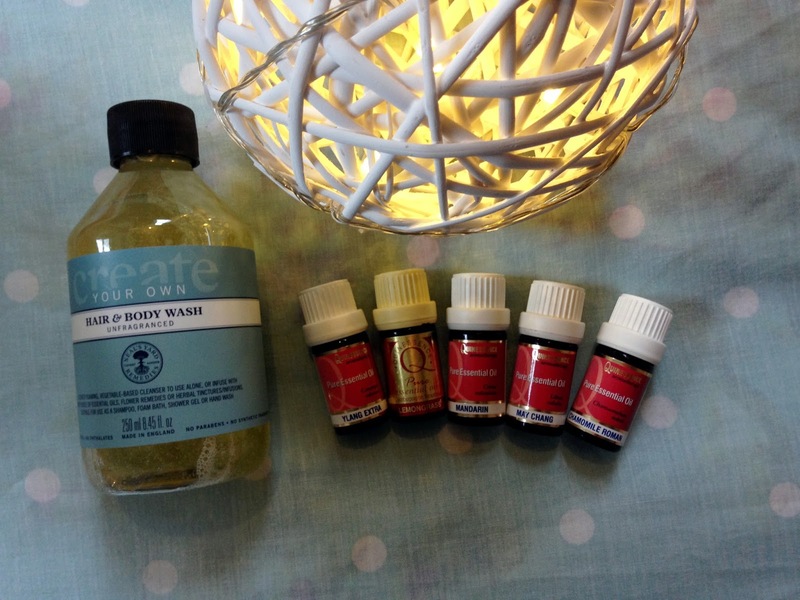 I added a few drops of some of my favourite relaxing essential oils to my bath: may chang and chamomile. To the Hair & Body Wash, I added ylang ylang, lemongrass and mandarin - more of my favourites! I buy all my essential oils from Quinessence Aromatherapy. They are Leaping Bunny Certified and retail to the public as well as trade, so if you are looking to purchase any essential oils, I would definitely recommend getting them from Quinessence as opposed to one or two certain multi level marketing companies that claim to offer the best 'therapeutic grade' oils! 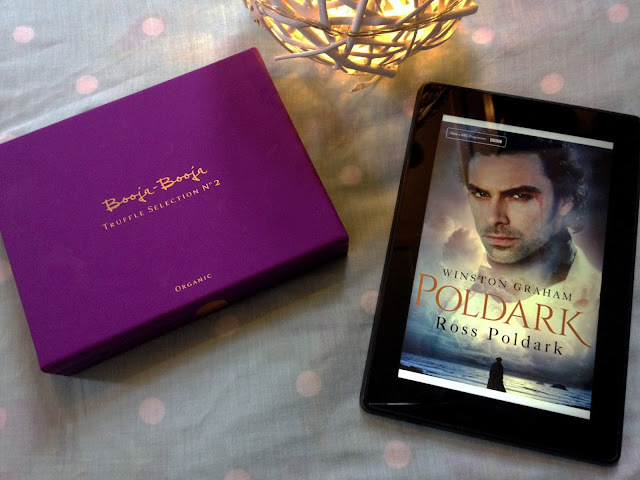 I had a little bit of the money left over so I decided to buy the first Poldark novel for my Kindle, as I have been meaning to read it for ages. I popped my Kindle in a plastic wallet and indulged in a few chapters as I relaxed in my bath. I also enjoyed a few of my favourite Booja Booja chocolates as well! After my bath, I finished my facial by using the Rejuvenating Frankincense Toner before massaging in the Rejuvenating Frankincense Facial Oil and the Frankincense Hydrating Cream. My skin felt amazing afterwards, so I'm thinking of doing a full review on these products. 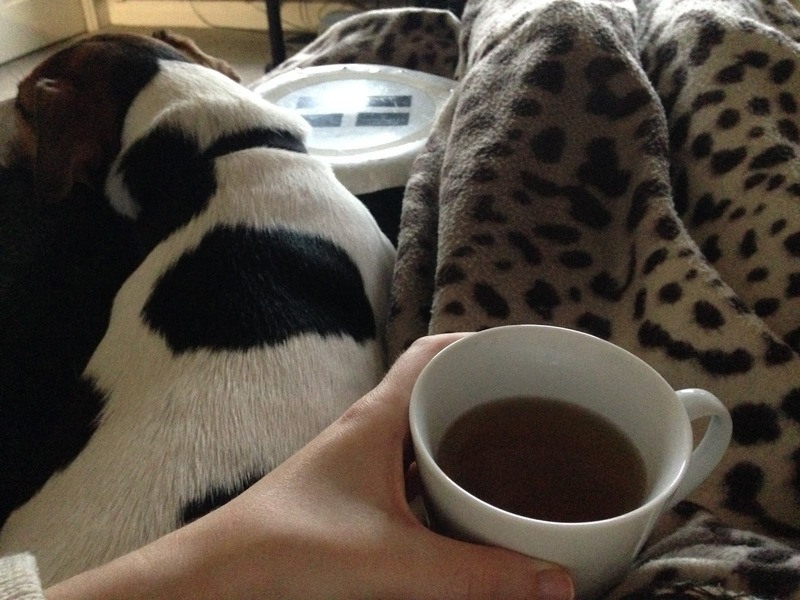 I had some lunch and then curled up with Jack under a blanket and enjoyed a cup of calming chamomile tea. 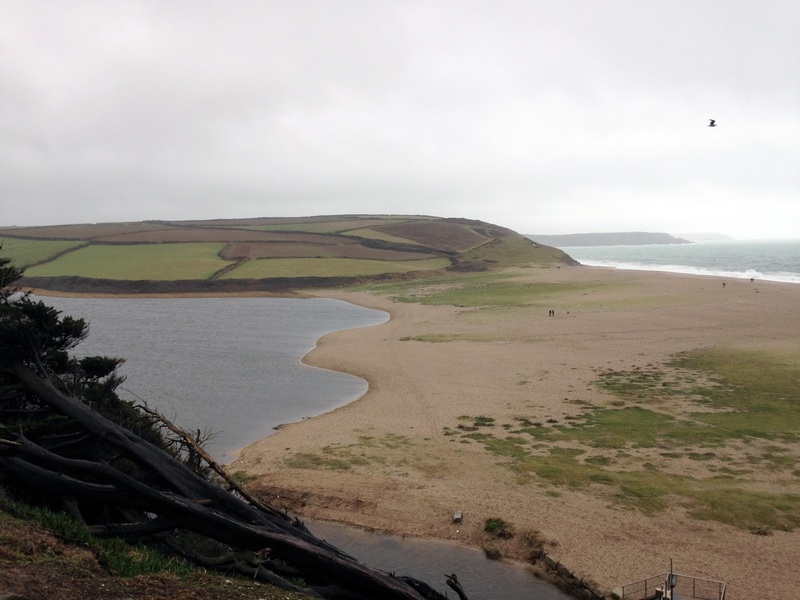 We stayed here for the afternoon, watching films and reading while the wind howled outside - heavenly! Home pamper days are such a great way to relax, and it made me realise that I haven't had a proper one in ages! I will definitely be spending more days like this when I can. So many people feel guilty for having time to themselves to do nothing but relax, but they really shouldn't! Regular relaxation is so important as it helps to keep your mind, body and spirit healthy. 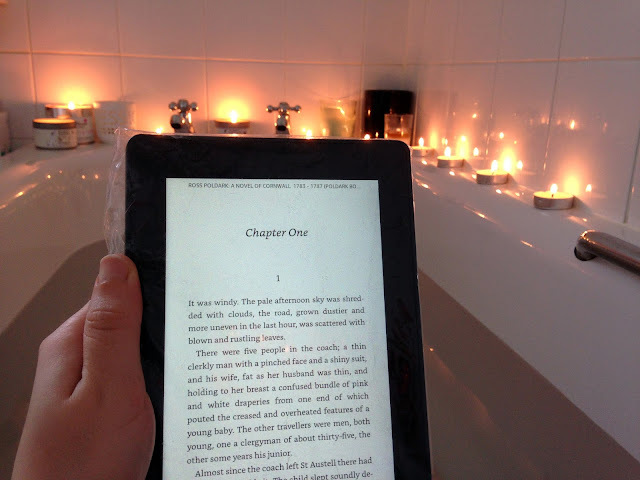 What is your favourite way to relax? I recently purchased the Lily Lolo Laid Bare Eye Palette. 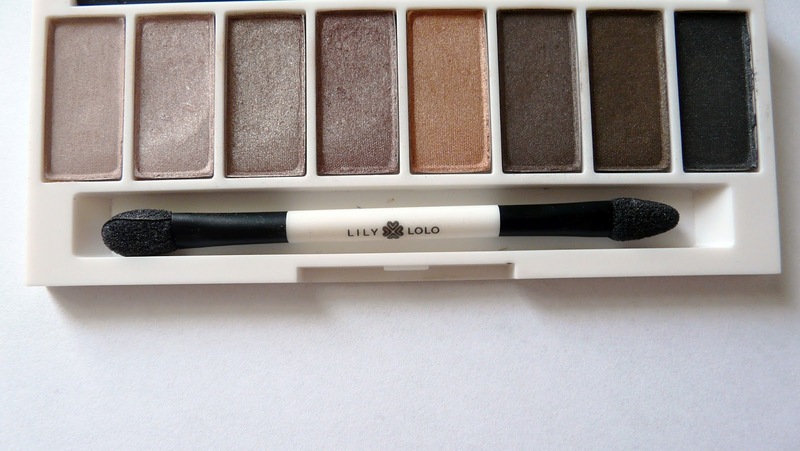 I'd been looking for a neutral eye shadow palette that was also vegan, cruelty free and natural, and I really liked the look of the Lily Lolo one. 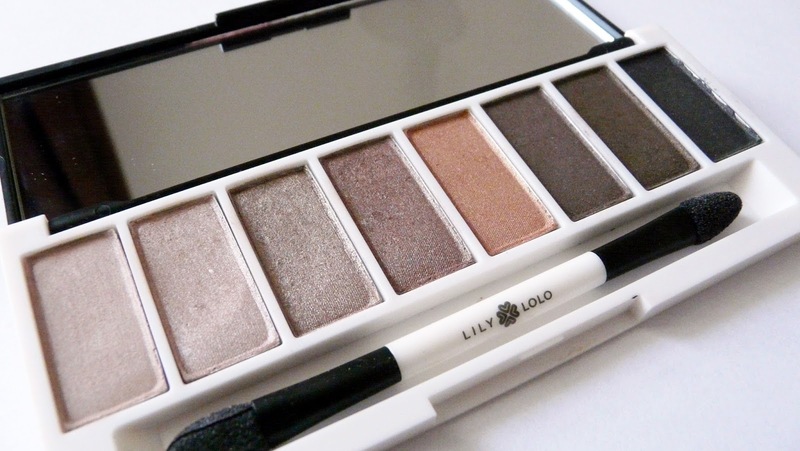 The Lily Lolo Laid Bare Eye Palette is priced at £19.99 and features eight neutral eye shadows. 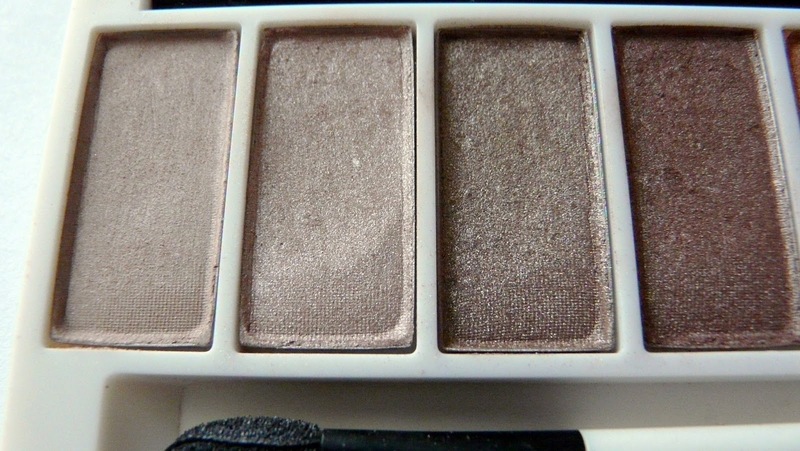 The palette itself is sleek and small enough to carry in your makeup bag or handbag. It comes with a mirror and a double-ended sponge applicator. 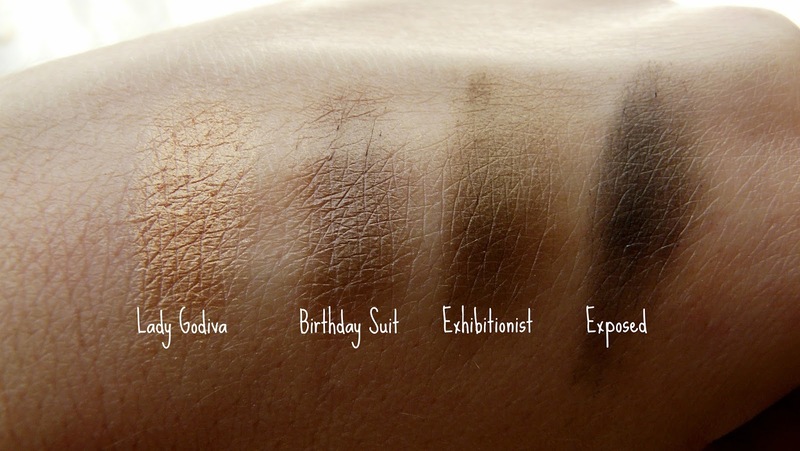 Lady Godiva – Shimmer, rich gold | Birthday Suit – Matte, grey brown | Exhibitionist – Matte, olive brown | Exposed – Demi-matte, charcoal All the shades are really wearable, and are perfect for creating both day and evening looks. They can be applied lightly for just a hint of colour, or can easily be built up to create a more dramatic look. I have literally been using this palette pretty much every day since I bought it! My favourite shades are Au Naturel, Skinny Dip and Birthday Suit. I have found that the shadows tend to crease after a few hours, but this can easily be fixed by a quick re-blend with either a brush or a finger. 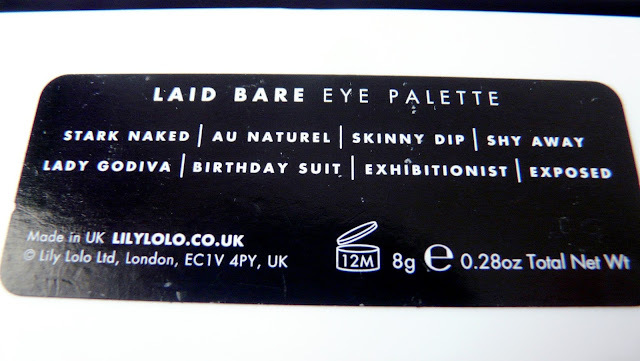 If you are looking for a vegan, cruelty free and natural eye shadow palette then I would definitely recommend this one!